In recent years actor Russell Crowe has become a regular punchline thanks to his much-maligned singing in Les Miserables, but this Oscar-winner is one of the finest actors of his generation and deserves, in my opinion, more respect. With Noah approaching this week, I thought this the perfect time to recap Crowe's best work. GLADIATOR (2000, R)– Crowe won Best Actor (and the film won Best Picture) for this tale of a Roman general whose integrity is a threat to the new Ceasar. Branded a traitor and sold into slavery, he works his way through the ranks as a gladiator to win the hearts of the people and defy the corruption of Rome. Rated R, but an edited version is frequently on TV. A BEAUTIFUL MIND (2001, PG-13)- Another Best-Picture winner, Ron Howard's brilliant drama is based on the true story of Nobel-Prize winning mathematician John Nash and his struggle with paranoid schizophrenia. The romance between Crowe and Jennifer Connelly here is terrific (they've reunited in Noah). MASTER AND COMMANDER: THE FAR SIDE OF THE WORLD (2003, PG-13) – Critics loved this seafaring adventure (it was nominated for Best Picture) based on a series of novels, but audiences didn't latch onto it as much, possibly because it came on the heels of the first Pirates of the Caribbean film that same year. The British navy may not be as exotic as Captain Jack Sparrow, but those who skipped Master and Commander missed out on a thoughtful and thrilling adventure. CINDERELLA MAN (2005, PG-13) – Sometimes phenomenal films are box-office flops. Cinderella Man is one of the best movies of its decade, but never found a wide audience. Crowe is at his most earnest and likable as a Depression-era boxer who fights to keep his family from starving. This wonderful and uplifting true story portrays a beautiful marriage between Crowe's character and that of Renee Zellweger. Just watch this trailer and tell me that you're not intrigued. 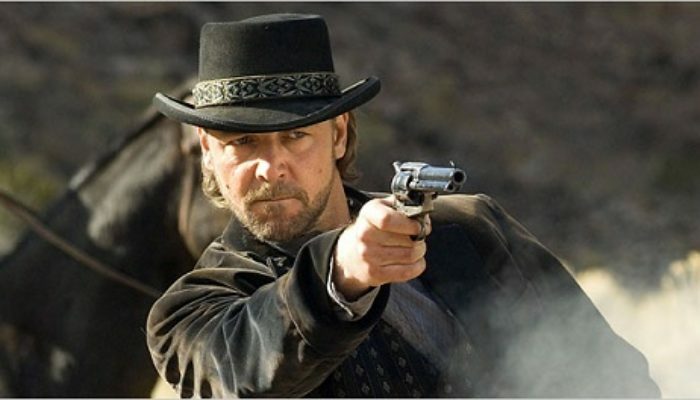 3:10 TO YUMA (2007, R) – This is my all-time favorite movie, and I don't say that lightly. Repeat viewings are necessary to appreciate the powerful moral themes. Crowe stars as ruthless outlaw Ben Wade, who justifies his evil deeds by pointing out the hypocrisy all around him. When meek and humble rancher Dan Evans (an excellent Christian Bale) volunteers to deliver him to the prison train, Wade challenges, and is endlessly fascinated by, an opponent with actual integrity. Rated R, but an edited version is frequently on TV. Crowe stars as the biblical prophet in director Darren Aronofsky's controversial film, which has been earning mostly-positive reviews from mainstream critics but has been hit-and-miss with the religious leaders who've screened it. I'll be seeing it Thursday night, with my full review up on Friday. What Do Your Kids Learn About Gender from Disney-Pixar?